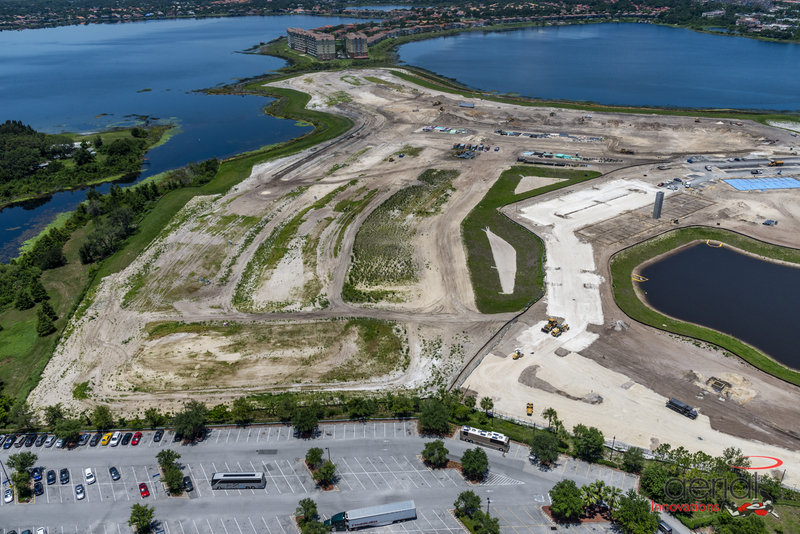 Land clearing is a big part of Central Florida’s progress. Whether your next project is for a housing subdivision, shopping plaza, new business, or even a playground, some type of excavation is necessary. 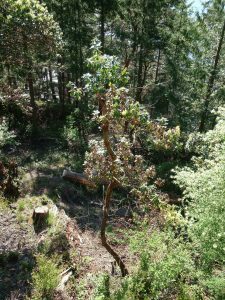 Land clearing is typically thought of as the removal of all the vegetation, from the trees, shrubs, unwanted debris, topsoil, and any hazardous materials, but it is so much more. For a successful project, water run off and drainage need to be properly addressed. It may seem pretty straightforward, but with Central Florida extreme afternoon thunderstorm, it is anything but. Proper drainage means all that water will have somewhere to go, instead of causing a flood inside a building or on the property. When you hear on the news the flooding problems in certain neighborhoods or parking lot, the problem can usually be linked back to the land clearing. It is also important to hire an experienced land clearing service, this way they will be well versed in the different soil types in Florida. Whether it is leaving a few old oak trees for an eye catching playground area, shade for a parking lot, or next to an office space to reduce energy costs, today’s projects are incorporating green spaces into their designs. For a better environment and community. It takes the right experience and equipment to get the job right. Understanding the latest techniques, newest laws, ensuring the job is done right, and stays within budget and on schedule takes experience and a dedicated crew. As a leading full service site development in Central Florida, Swell Construction Group, we feel our responsibility to provide our customers with a quality-finished project. This is achieved by having highly skilled personnel in all positions within our company. We provide accurate estimates and perform our scope of work in an efficient, timely, and a cost effective manner. 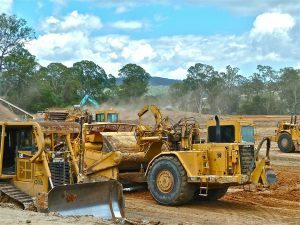 A complete site development service provides excavation service needs to work closely with land clearing, grading, earthwork, excavation, paving and storm water and utility systems installation. The experienced team at Swell Construction works with Owners, Engineers and Municipalities on all aspects of a proposal in order to get the project to the next level. This ensures unnecessary delays, quality and timely work. The Project Manager is the pivotal point on a project and all crews take the initial direction from him. They ensure the project is built to the client’s specifications and acts as the interface between the Owner, the office and the field. Open communications is the key to success. A timeline is of utmost importance. While the weather in Central Florida isn’t easy to predict 100 percent of the time, delays can cause setbacks. Your project should be the highest priority, the excavation service should be responsive to ensure the project is finished on time. You don’t need any added stress. It is important to take into consideration the nearby properties. What will the road conditions be like? The noise? A little professionalism goes a long way! Storm water and erosion control is of utmost importance in Central Florida. It can quickly become a hazardous condition. Surface runoff, prevent flooding, water pollution, and soil loss, erosion control should be done by experts. Looking for a top rated excavation service in Central Florida? When it comes to residential and commercial projects, Swell Construction is exceeding our clients’ expectations. With over 30 years of experience and over 130 pieces of heavy equipment, we can tackle any project! Contact Swell Construction for more information on your next project. 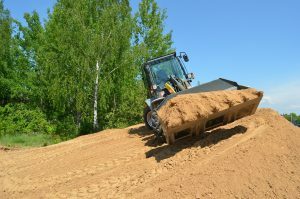 Excavation and site preparation for any type of construction project in Central Florida will need a quality land clearing service. For the best outcome, proper site preparation requires the clearing be done comprehensively and effectively. Swell Construction Company is committed to integrity and quality. 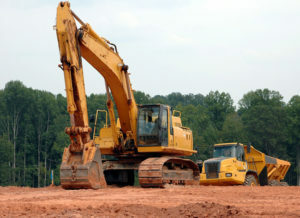 We are proud to be Central Florida’s top choice for land clearing and excavation. When preparing a property for construction, the site needs to be cleared. This includes removing any natural and artificial barriers and adjust the land to suit the needs of the project. We deliver ideal results, to create a quality site, preventing any setbacks or safety hazards in the future. Vegetation in Central Florida is plentiful, it creates sites that are overgrown and not passable. Our team of experts come in and clear out the area, leaving you with clean, buildable acreage. Our tropical conditions encourage trees to thrive. Removing them can be dangerous and labor intensive. It requires the right equipment and experienced crew. Our torrential thunderstorms and hurricanes have left many properties with stumps. For developers they can be a tactical challenge. Removing them and their roots are vital for a successful project. A very important aspect of any construction project here in Central Florida. After the vegetation and debris are properly cleared, it is surface runoff needs to be effectively taken care of to prevent gamut of problems including flooding, soil loss, and water pollution. Another important step in preparing the site, grading the subgrade. Meeting the scope of the design, creating a level base, angles and slopes. A major part of the process of site clearing. Removing excess soil or bring it in as needed. Ensuring a safe and convenient working environment. When it comes to site clearing and earthwork, the key to success is experience. Our versatility, experience, equipment, and top notch customer service, is what makes Swell Construction one of Central Florida top excavation services for commercial and residential projects. Contact Swell Construction Company for more information.